There are few better weekend activities than leisurely strolling through a farmers’ market. Fortunately, the Sunshine State’s year-round warm weather makes it easy to do, no matter what the season. Take a look at our top picks to visit, whether you’re a local or visitor. A suburb of Orlando, upscale Winter Park has a vibrant, bustling downtown district and a farmers’ market to match. Every Saturday, the city’s historic train depot transforms into a lively community gathering spot (with plenty of cute puppies to boot). Fruits, veggies, honey, spices, and even handmade soaps from local purveyors are among the diverse offerings. 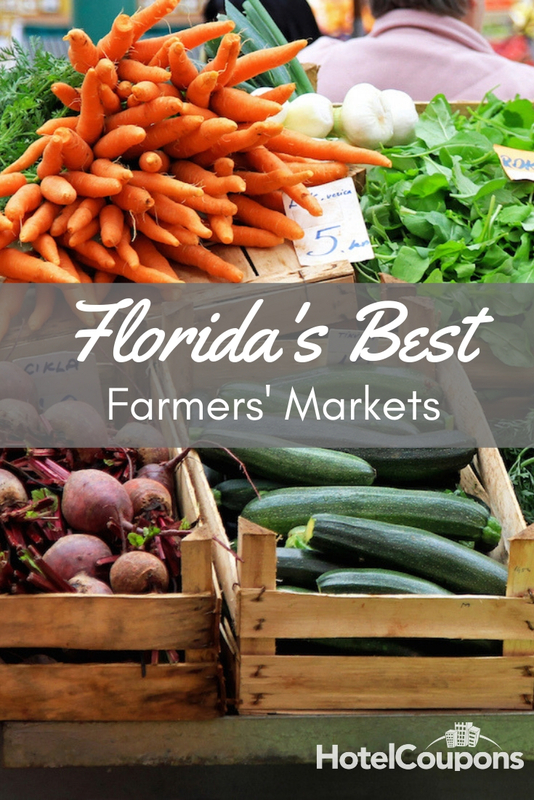 Over on the west coast, St. Pete’s market is actually the largest weekly fresh market in the entire southeast United States. It draws around 10,000 people each weekend to Al Lang Stadium from 9am-2pm, October through May. You’ll find 130 vendors selling a range of products, including ready-to-eat foods and fresh bread. In the city of Hollywood, in between Fort Lauderdale and Miami, you’ll find the Yellow Green Farmers’ Market. With 300 covered booths set up over 100,000 square feet, the year-round community mainstay is open from 8am to 4pm every Saturday and Sunday. With plenty of fresh produce and handmade goods, you’re sure to find something tasty to enjoy. Our Cheese department has a large variety of fresh cheeses! Don’t forget to grab a bottle of wine with it to start off your week! While it’s an actual market instead of a weekend pop-up, you simply can’t miss this shop if you’re in South Florida. All kinds of gourmet grub, including cheese, chocolate, appetizer platters, and charcuterie make Boys the perfect place to pick up everything you need for a successful dinner party. A bit further north, the Jacksonville Farmers Market has the distinction of being the oldest one in the state; it began all the way back in 1938, and still brings in around one million visitors each year. In addition to the fruits and veggies you’d expect, this market also features many rare, imported, and hard-to-find items from all around the world.